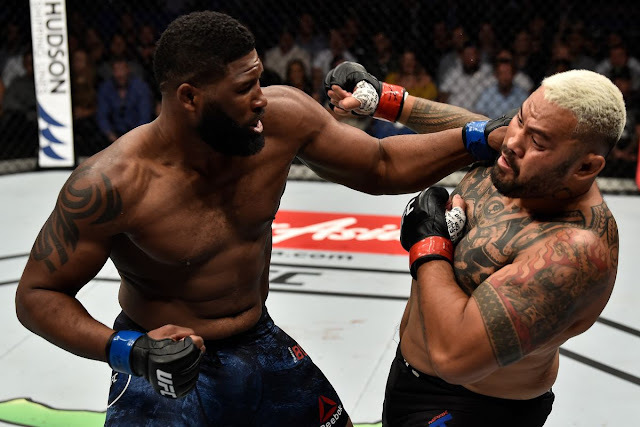 The most improved heavyweight fighter in the UFC is Curtis Blaydes, and its not even close. 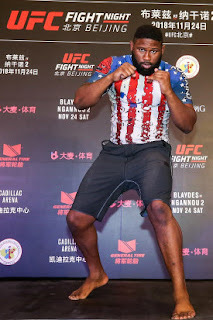 The 27-year-old American lost his Octagon debut back in April 2016 to Francis Ngannou via TKO, and at the time, it was easy to write Blaydes off as nothing special. Sure, he had picked up five wins on the regional circuit against a bunch of no-names, but losing via knockout loss in anyone's UFC debut is never a good sign, especially considering that at the time Ngannou was an unknown himself. Since losing that fight though, Blaydes has done nothing but win, and is now one of the top heavyweight fighters in the world. It's amazing how just a few years can make such a big difference. No one could have predicted how good Blaydes was going to get after losing via stoppage in his Octagon debut. Since the loss to Ngannou, Blaydes has gone 5-0 with 1 No Contest, scoring three knockout wins in that span. (The No Contest was also a knockout win, over Adam Milstead at UFC Fight Night 104, which was overturned due to marijuana metabolites.) But even with the No Contest on his resume instead of the knockout win, Blaydes' record since the Ngannou fight has been nothing short of impressive. He picked up wins over Daniel Omielanczuk and Cody East in his next two bouts, finished Aleksei Oliynyk after that, beat Mark Hunt by decision after that, and in his last fight, TKO'd Alistair Overeem. 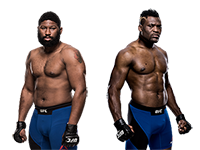 That's one impressive run, and just based on how dominant Blaydes was against Overeem, he looks like he's actually still improving, which is amazing, considering that he looks like one of the best heavyweights in the world right now. Blaydes' wrestling base was always his bread-and-butter, but he's really rounded out his game in his recent fights. His striking has looked a lot better, and that's how he beat Oliynyk. His chin has held up well, even surviving the power shots of a heavy hitter like Hunt. His ground-and-pound has always been solid, but looked godly against Overeem. His cardio also looked impeccable, as he might have the strongest gas tank in the division right now outside of champion Daniel Cormier and former champ Stipe Miocic. Blaydes is incredibly well-rounded, and if he can develop even stronger striking and submission skills, it's possible we could be looking at one of the best heavyweights of all time. But as good as Blaydes has looked in his last batch of fights, that Ngannou loss does hurt, and Blaydes needs to get it back. The UFC has given him the opportunity to do so this weekend at UFC Fight Night 141, as these two big boys will run it back in the main event. 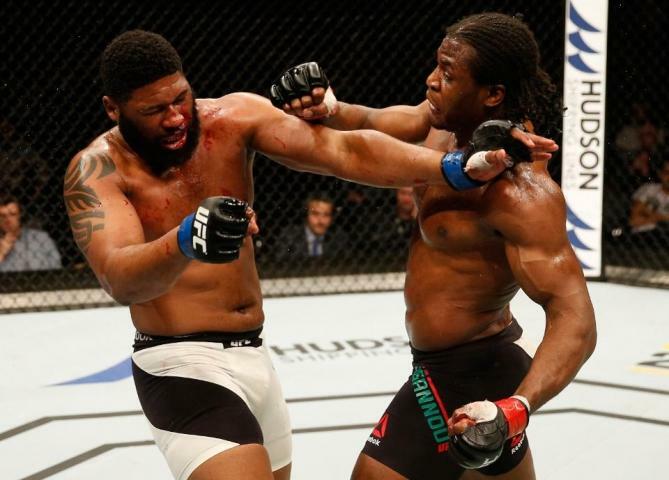 For Blaydes, a win over Ngannou would essentially erase the first loss he had to him and cement his standing as the top contender for the heavyweight title this side of Brock Lesnar. For Ngannou, coming off of two straight losses to Cormier and Miocic, he desperately needs to win to get back on track. But while he may have finished Blaydes the first time around, considering the improvements Blaydes has made and how bad Ngannou has looked recently, this is going to be a much different fight this time around. The oddsmakers tend to agree, as Blaydes is a solid favorite here in the rematch. Just due to his size, reach, and pure wrestling skill, Blaydes always had the potential to be a winning heavyweight in the UFC. But he's really developed into a complete fighter with a devastating ground-and-pound attack, improved striking skills, and an endless gas tank. Unfortunately for Blaydes, while he is absolutely deserving of a heavyweight title shot, there's no chance Cormier will take the risk and fight someone who is almost like a younger version of himself anytime soon. Therefore, Blaydes probably won't earn a title shot with a win over Ngannou. But he can redeem his first and only career loss, and that might be all the motivation Blaydes needs to have another incredible performance. 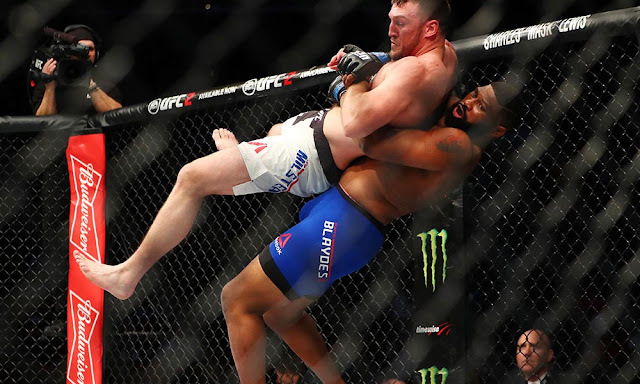 "Razor" is the most improved heavyweight in the UFC, and he just keeps getting better every time we see him fight. At only 27, he might have another decade of elite performances left in store, and that's a scary proposition for all of the other heavyweights on the UFC roster, Ngannou included. 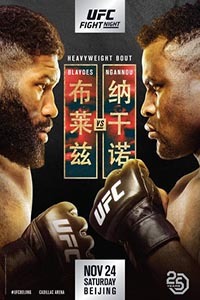 UFC Fight Night 141: Blaydes vs. Ngannou 2 takes place November 24, 2018 at Cadillac Arena in Beijing, China.